Menton Daily Photo: Follow that truck! 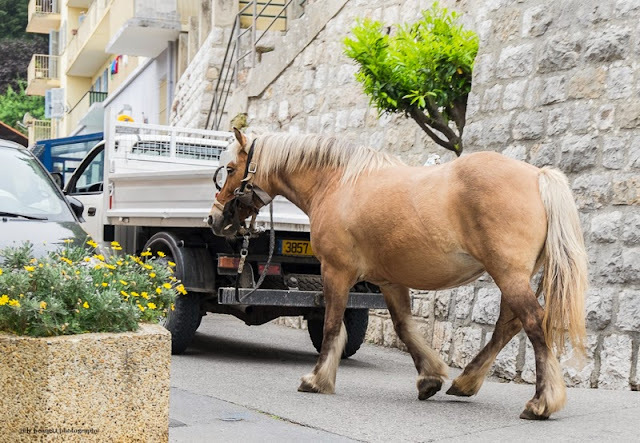 Attached by a length of rope, this mare trotted easily behind the lorry which drove slowly home. Beautiful, isn't she? Attachée par une longueur de corde, cette jument trottait aisément derrière le camion qui la conduisait lentement à la maison. Elle est belle, n'est pas? The proverbial "putting the cart before the horse." Great picture!